Home Press Releases: Why we need it? How To Make Them Work For Business? Press Releases: Why we need it? How To Make Them Work For Business? Press Releases: Why we need it? How To Make Them Work For Business? Have you ever done internet marketing? If yes, then you have probably heard the term called “Press Release”. But, if you have not done any internet marketing at all, then this blog will be a powerful eye-opener to you because the Press Release is one of the effective and powerful promotional tools you can use in this day and age. Press Release- What does it mean? You can consider PR as a highly-focused and newspaper-like article that is promoted and syndicated for you. Contrary to free articles, the press release, once written, is a paid distribution.There are various free PR websites available, but choosing a Press release paid service is highly recommended. You can choose a PR service such as PR leap, PR Web and etc. will publish your PR on their site and syndicate it to hundred or probably thousands of online news sites too. Why PR is considered as a powerful promotional tool? You know the concept of article marketing, Press release is similar to this. In the article marketing, you write an article, and publish it on various high page rank article sites. Those websites offer you free service, generally, and your article is then read and possibly syndicated by other web user. To build back-links, and to establish your online presence, article marketing is the best way. Coming to a Press release, it is similar to article marketing as mentioned above, except that because you pay a PR service to distribute your article, you get quicker and bigger results. Like a free article, a PR can contain tamed information, a link to your website and even your contact details. It is a cost-effective tool of capturing the attention of web users. ExcelentContent produces high-quality press releases for nearly all of its customers. If you are expanding your business, and seeking to grow its profits, then a well-crafted press release can have on a business’s profits. You might like to read: What is the Role of Content to Boost Business Website in Search Engine? 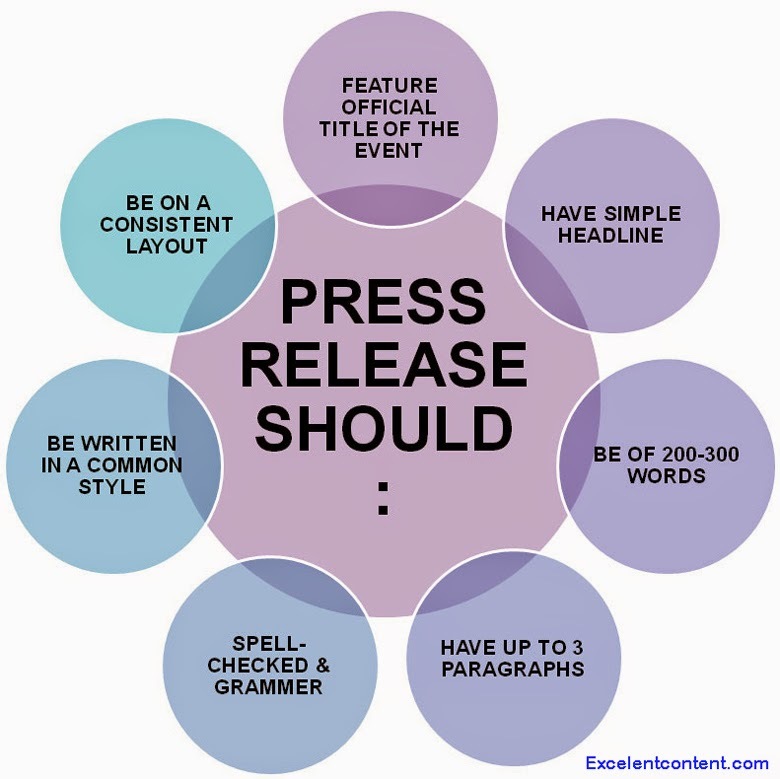 Tags # Press Releases: Why we need it? How To Make Them Work For Business? Labels: Press Releases: Why we need it? How To Make Them Work For Business?